I was pleasantly surprised today when I got to the mailbox and found that our University of Washington season tickets had arrived. Besides the season tickets there’s always a coffee card preloaded with $5 from Starbucks. 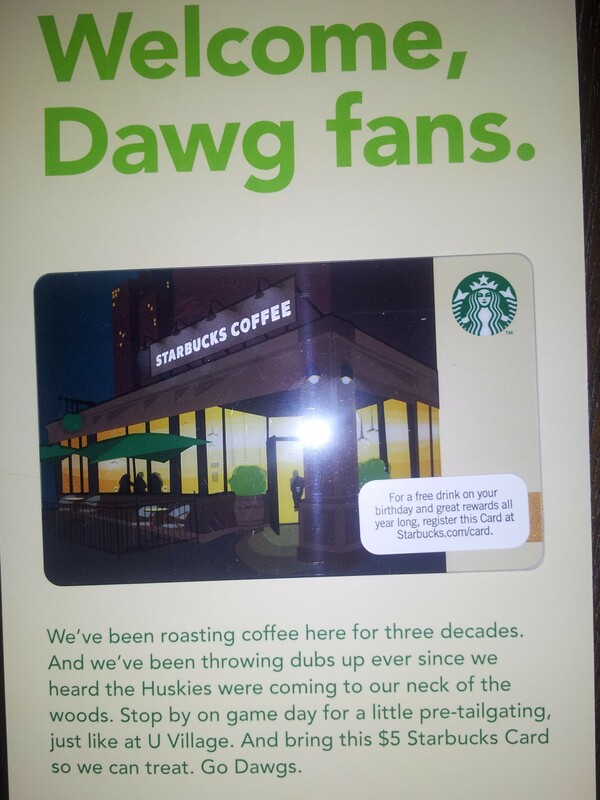 What struck me about the card this year was that they made the connection to a traditional pre-game trek to the U Village store for coffee…the reason this year is special is due to the fact that the games are being played at Century Link Field while Husky Stadium is being renovated. Starbucks messaged that we should head to the store near HQ. Way to make the local connection.